PERFORMANCE, FLEXIBILITY AND AESTHETICS UNITED TO THE HIGHEST LEVEL OF AUDIO SUPPORT. 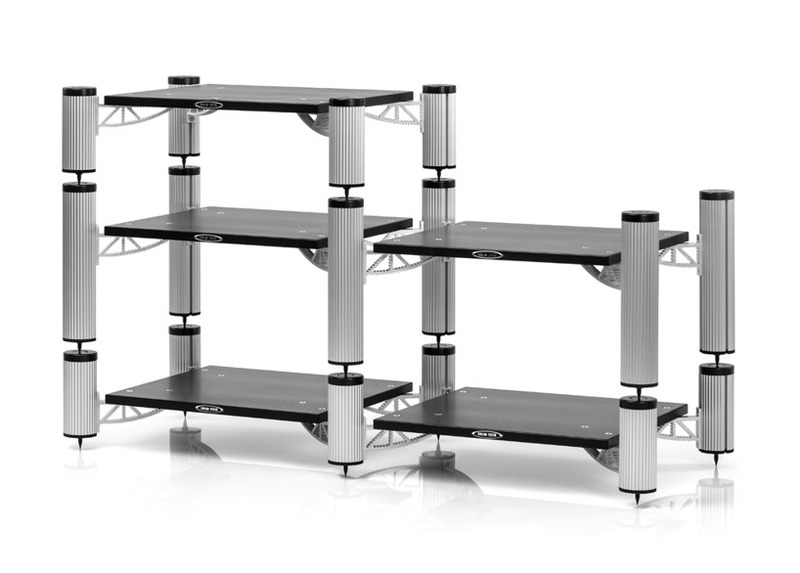 Solid Tech's Hybrid comes from a long heritage of award winning rack engineering and features all the top state-of-the-art engineering qualities that you would expect. 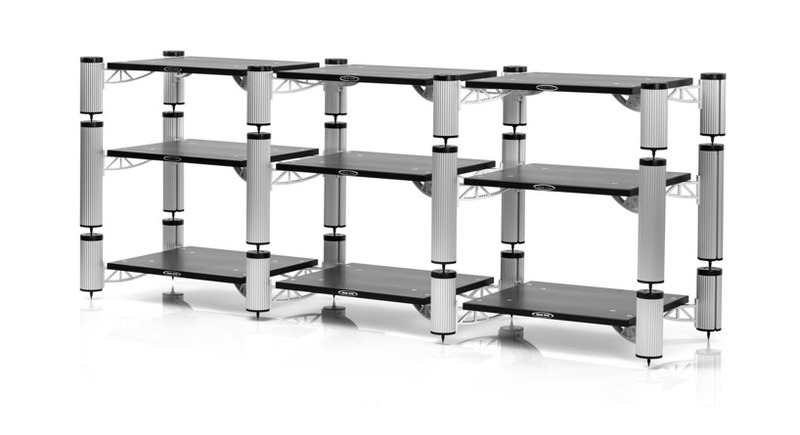 Most A/V racks on the market are pre-designed for one assemble, either as a single rack shelf, 2-shelf, 4-shelf etc. There is no flexibility to change or adapt. The Hybrid's latest developments allow flexibility like never before. 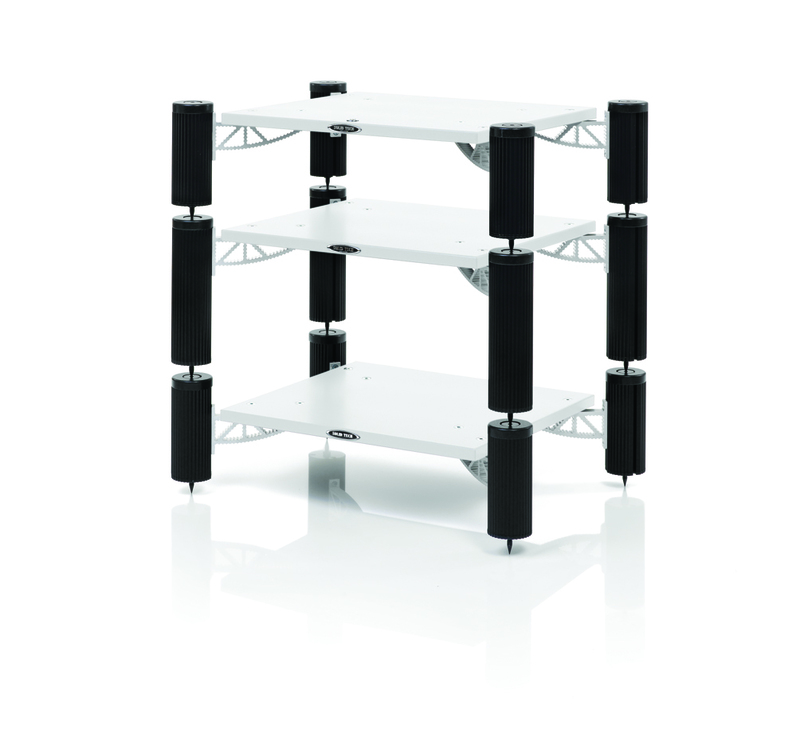 Starting for example with a 4-shelf vertical rack you can easily reassemble with the focus on horizontal expansion such as a two 2-shelf racks side by side. If needed at a later date you can build vertically again while keeping the horizontal foundation from earlier. With this type of flexibility there are endless options to explore; meaning you can design the optimum A/V rack and tweak according to any changes you wish to make without any loss of platform-stability or support. Ingenuity is hard to define, but you know it when you see it. The design process has revealed that only four building blocks are necessary to perfectly adapt the rack design to most A/V systems. The four building blocks are comprised of: the shelf-kit, 200mm corner-pillars, 275mm corner-pillars and finally 350mm corner-pillars. It is widely accepted that resonance control is essential in order to eliminate spectral contamination distortion. Resonating support systems cause masking of low level information and coloration, emphasizing some frequencies and reducing others. 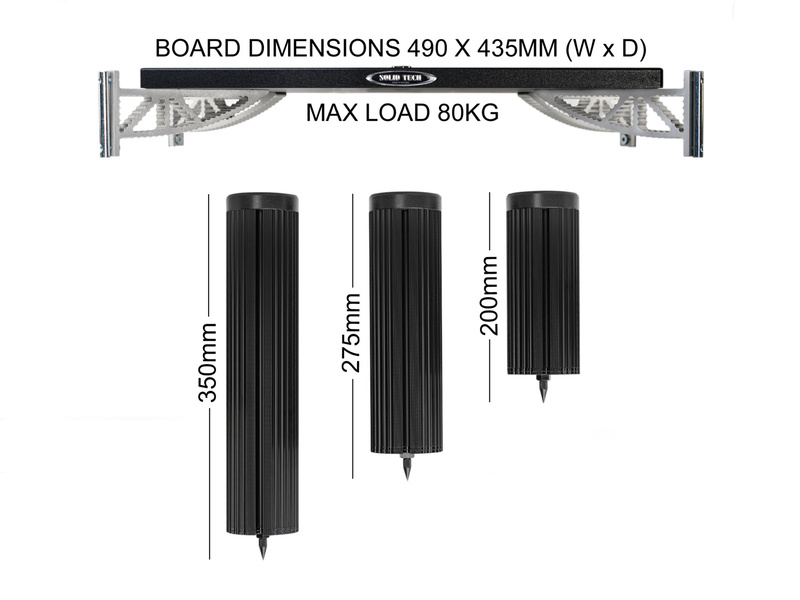 Most of the materials and techniques used in the conventional racks and support systems have unacceptable drawbacks and are not suitable for high-end usage. Very few structural materials deal efficiently with the requirements of both rigidity and dampening. 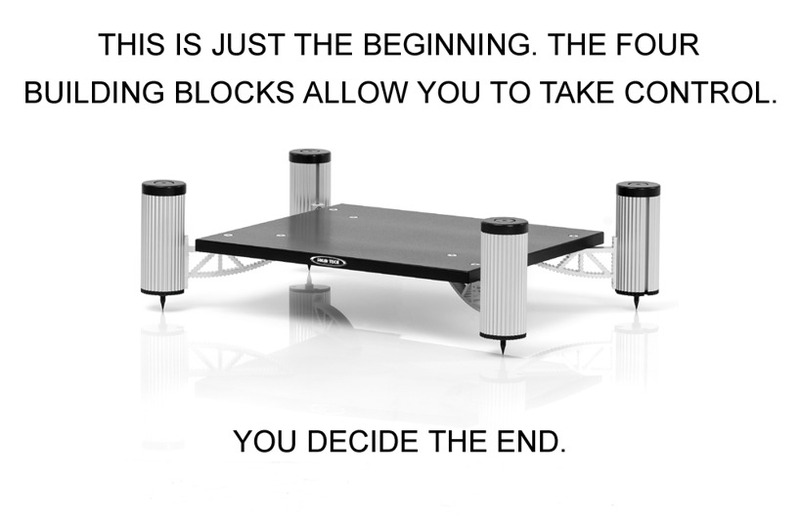 The ideal audio support platform has to be both uniform in structure as well as rigid for its size and shape. 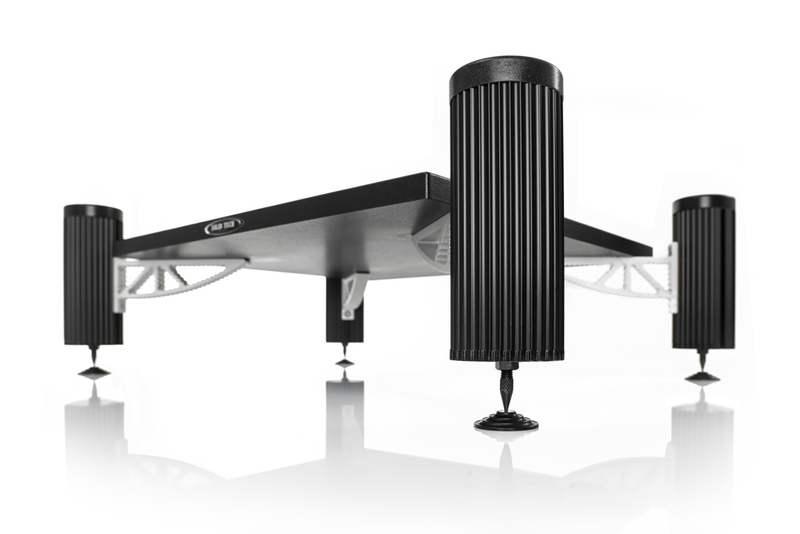 The Hybrid's ultra solid and rigid foundation is made up of two of our own developed aluminum-extrusions. With literally four tubes in a tube we dare to say that our own and unique aluminum extrusion corner-pillar design has the highest stiffness to weight ratio in the industry. The extensive internal bracing cater for a very stiff and non- ringing design. To further enhance the resonance characteristics and to provide a sink for externally as well as internally born resonance and vibration the cavities can be filled with fine grain sand. Sand has the ability to conform to the entire surface of the corner-pillar, efficiently constraining and dampening the resonance modes even further. Also the short pillar lengths contribute to that the bending forces (vibrations) are minimized. In short, the Hybrid corner-pillars do what the best corner-pillars should do: be seen and not heard! Our own developed and oversized aluminum extrusion shelf console is a solid framework design which not only support the shelf, it makes it more rigid keeping the resonances at a low level, The consoles are available and anodized in either black or silver finish. By using a 10mm steel Cross Dowel, with identical length as the console's contact surface and a calculated precise fit to the corner pillar's slot, an upmost secure and stable connection is created comparable to as though the corner-pillar and console was a single unit. The pillar design with its two cross-dowel slots cater for infinitely adjustable shelf position.